Made of AISI 316 steel with polished or satin finish this stand is suitable for use outdoors. 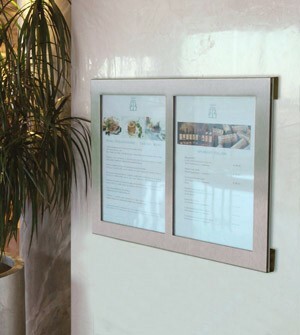 The display panel is available in three versions with low consumption led lighting and lockable safety fastener. 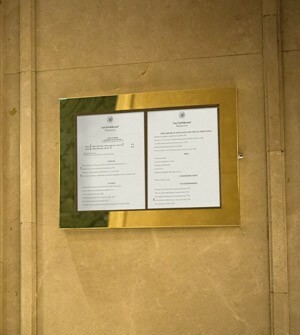 We present our outdoor menu stand able to contain two or three A4 information sheets.